The Kubrick Class Command and Control Cruiser was developed to fill a need, as the Federation continues to expand, to have more of a flag level presence in remote regions. In many ways, these ships are more like portable, miniature starbases, having on board many of the same facilities aboard. When a significant fleet presence is in an area of space where there are no established starbases, a Kubrick Class vessel can be dispatched to fill the need. In addition, when a fleet is engaged in a tactical situation, a Kubrick Class starship can be dispatched with a flag officer aboard to command the fleet. Kubrick Class vessels contain specialized facilities to coordinate other ships, collate data coming in, assess the state of the space they occupy, and issue orders accordingly. Kubrick Class vessels are not the fastest or most maneuverable ships, but this is compensated for by the fact that they are never dispatched without escorts. Defensively, however, they can pack quite a punch, including being one of the few times a ship has been equipped with port and starboard facing photon torpedo launchers. 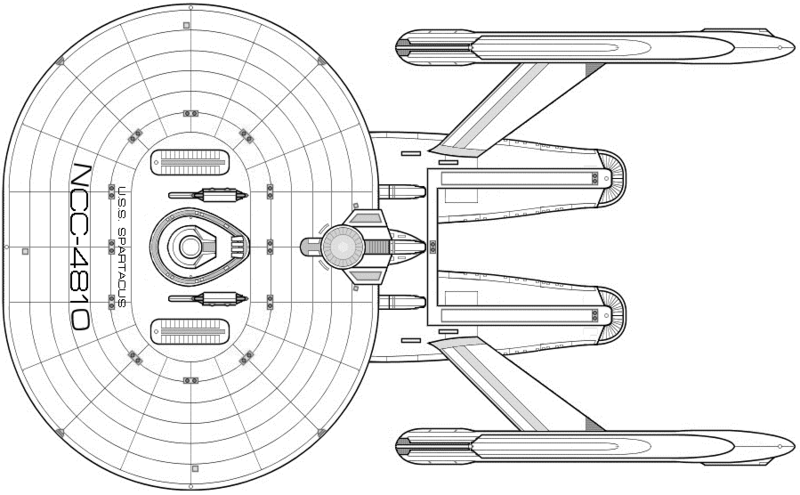 This class features two massive through-deck shuttle bays that extend the length of the secondary hull. These are used for transport between ships within their assigned fleet, or to dispatch squadrons of Killer Bee fighter craft that act as additional defensive support.